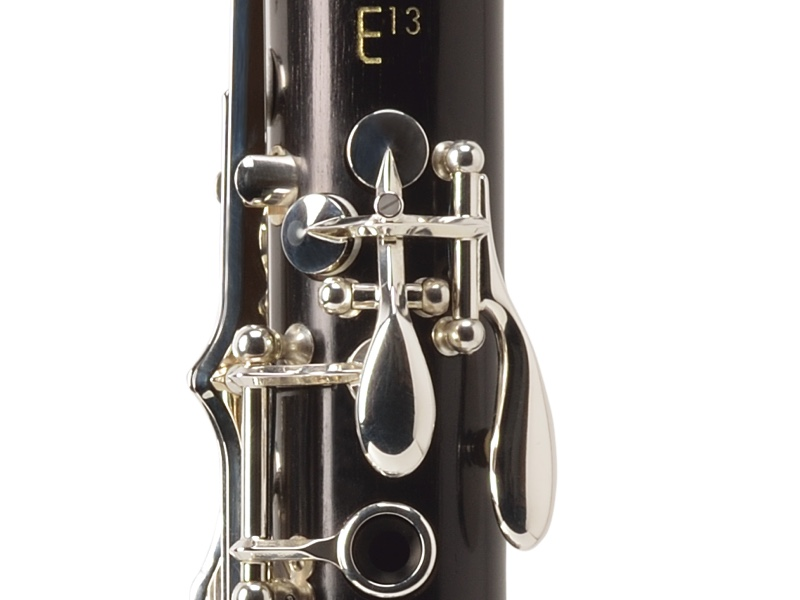 The name E 13 is legendary for a clarinet that has never changed in 40 years. With its origins in the BC20 the clarinet played by Jacques Lancelot the E 13 has accompanied amateurs and advanced musicians to conservatories, music schools and wind orchestras the world over. Made from the best pieces of Mozambican grenadilla wood and assembled in the brands own workshops, this clarinet has all the technical characteristics of the professional line: silver keywork and plating, blue steel springs, screwed-in pillars, threaded screws and natural cork lining the joints. Already equipped with leather pads in January 2015, the E 13 has now inherited the completely new bell of sister clarinet, the RC (cf. Robert Carre), which gives more projection and brightness no matter what the range or tone. The low F key adjustment screw allows a finer control of the resulting action implemented by its lever. The Buffet E13 is a semi-professional clarinet made in African Blackwood with similar qualities to the Limite offered in the US only. The bore belongs to the RC family and has similar sound characteristics, but with a little less volume. Reliability, durability and intonation are good, making it a great tool for advanced students. It offers more flexibility and a wider dynamic range and, in our opinion, is a clear favorite over the E11, and worth its higher price. You get a lot of clarinet for the money. See also Clarinet bores and sounds . Attention Many players are looking for used R 13, in the believe to get a professional instrument at a better price. Be aware that many of these instruments have a bore which is worn. If the instrument plays sharp, its most likely the case. We strongly recommend to considered the E 13 as a serious alternative to used R 13 and to give it a try. 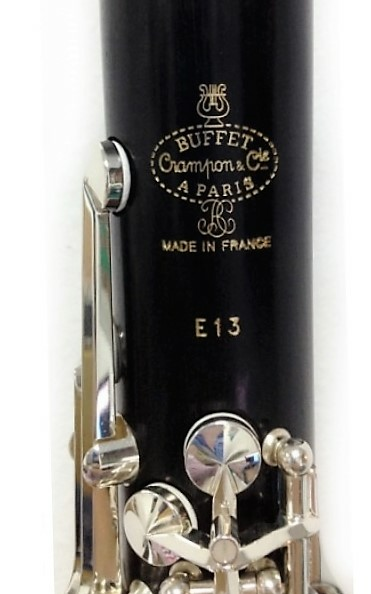 There is a reason, why the E 13 is the most produced Buffet model worldwide. See also: Bore restauration. The E13 is only available in African blackwood with black stained surface to give them an even look, independent from the original color of the different body parts. This has no influence on the sound. For players, who prefer the original wood, but like a reduced risk of cracking, Lohff & Pfeiffer offer the tone hole crack prevention for all wooden instruments as an option.